The idea for the Narzissenfest originated at the end of the 1950s in the town of Mariazell. However it quickly became clear that an annual festival of the narcissus could not be guaranteed. 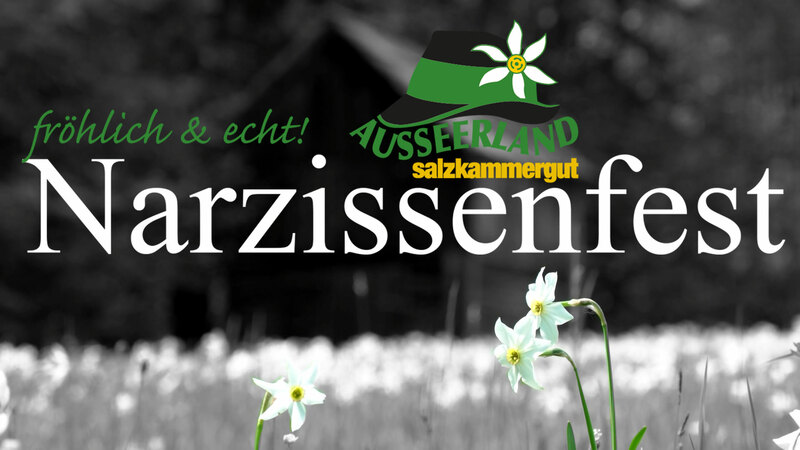 However in Ausseerland, there is an abundance of fields of narcissus and it was quickly recognized that an annual festival would be a boost to the struggling local economy at the time. 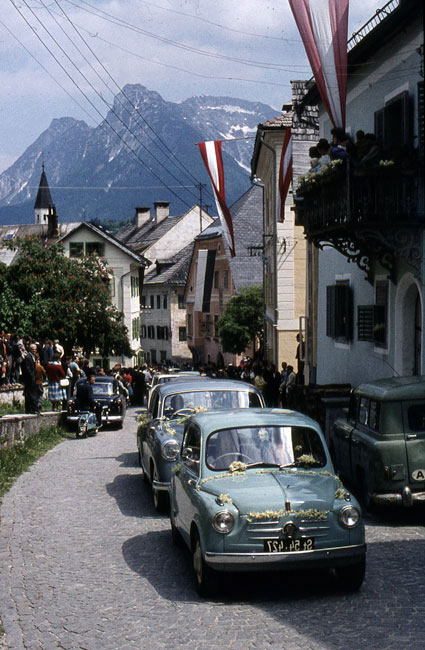 The first Narzissenfest took place from 28th to the 29th of May, 1960, organised by the tourist committee of Bad Aussee. Since then, school children, traditional costume groups and more music groups have become as much of an attraction as the decorated cars and figures of the Sunday procession. 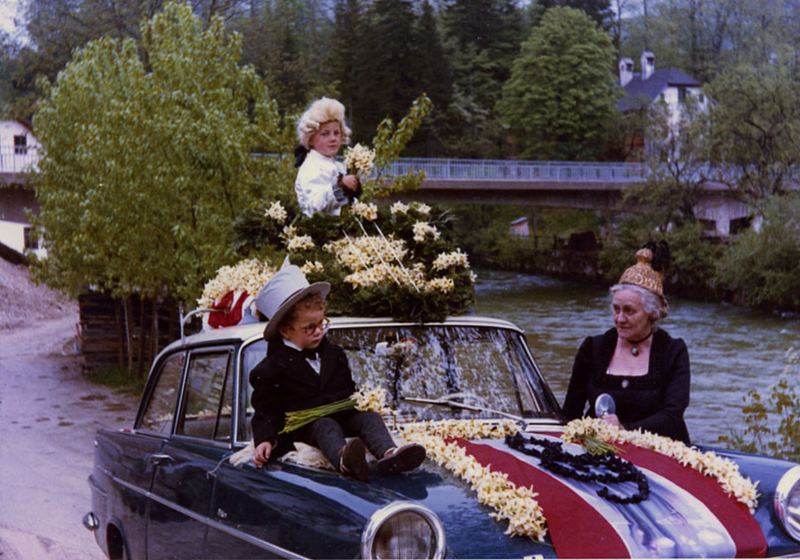 From the first festival, a highlight has always been the electing of the Narzissenkönigin (queen of the narcissus) and her two princesses. 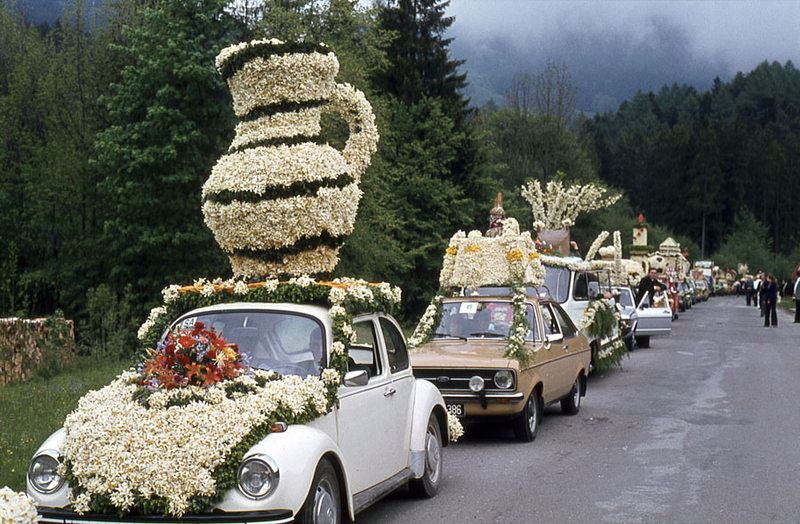 The procession of the figures on the lake began in 1963 and took place on both Grundlsee on the Saturday afternoon and Altaussee on Sunday after the parade through Bad Aussee. For many years there was a firework display in Bad Aussee on Saturday and a live radio program from the event. The festival attracted between 2000 and 4000 visitors in the early years. It quickly developed into a festival involving most of the local Ausseer community which has contributed largely to its success and continues to this day. During the 1970s, as visitor numbers increased to 20,000, a committee was set up to administer and organize the festival each year. 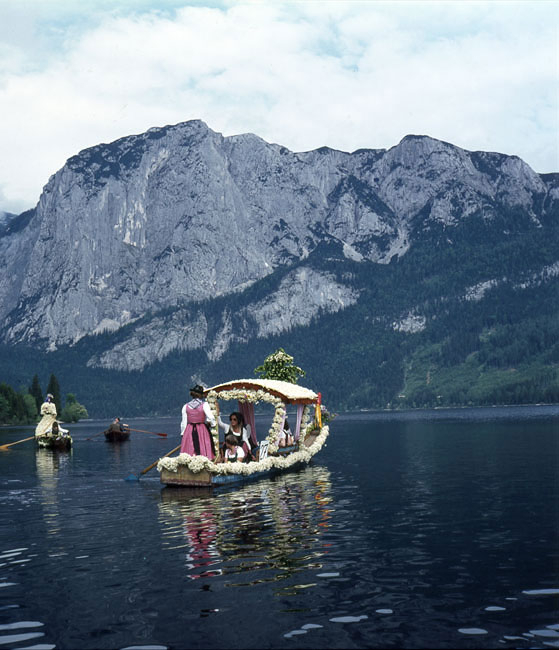 It brought together Altaussee, Grundlsee and Bad Aussee and in 1983 a record number of guests to the festival of 25,000 was recorded. 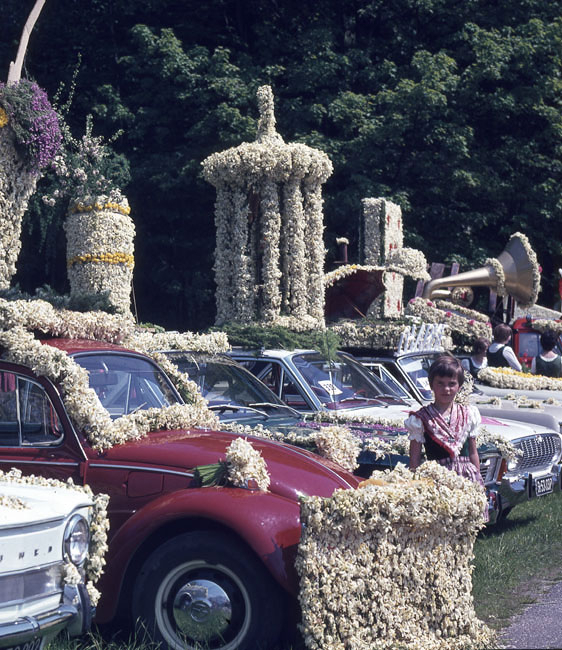 One of the reasons for the increase in visitor numbers was due to a television program ‘JAHRMARKT’ that was aired directly from the Narzissenfest in Ausseerland. For many years the event has been sponsored by the media partners: Kleine Zeitung and ORF.